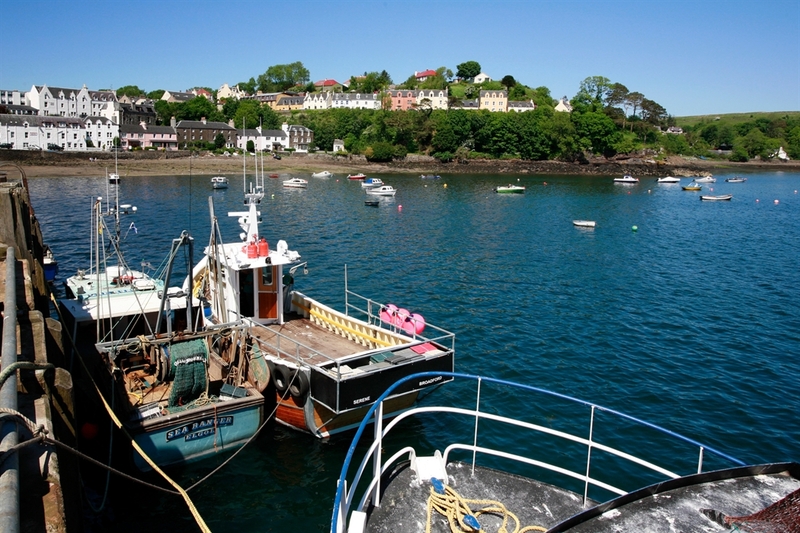 Set round its natural harbour and fringed by high ground and cliffs, the town is a popular tourists’ holiday destination and the harbour continues to be used by fishing boats as well as pleasure craft. It boasts excellent leisure facilities including a swimming pool, pony-trekking and boat cruises plus plenty of shopping opportunities in addition to the great variety of accommodation ranging from upmarket hotels through guest houses, B&Bs, self-catering establishments and hostels. There is also a campsite nearby. 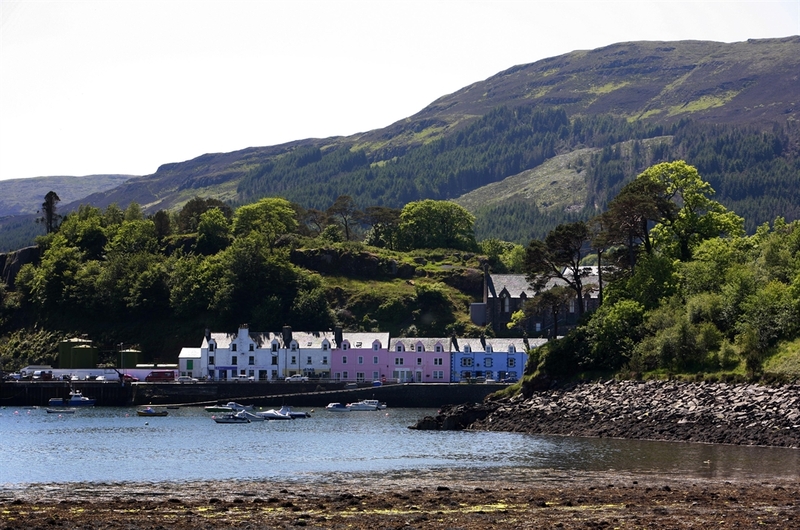 Portree is also the cultural hub for Skye and one of its main attractions, the award-winning Aros Centre, runs regular theatre, concerts and film screenings. 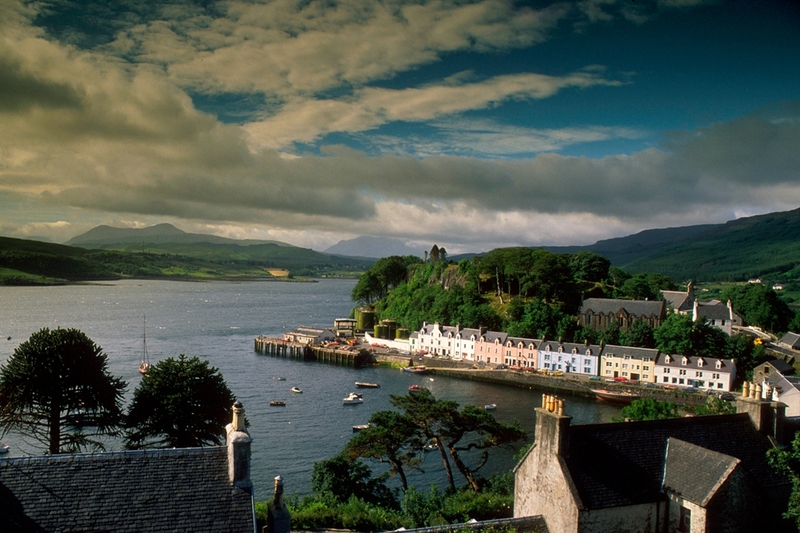 The town is a popular base for exploring the rest of the island. 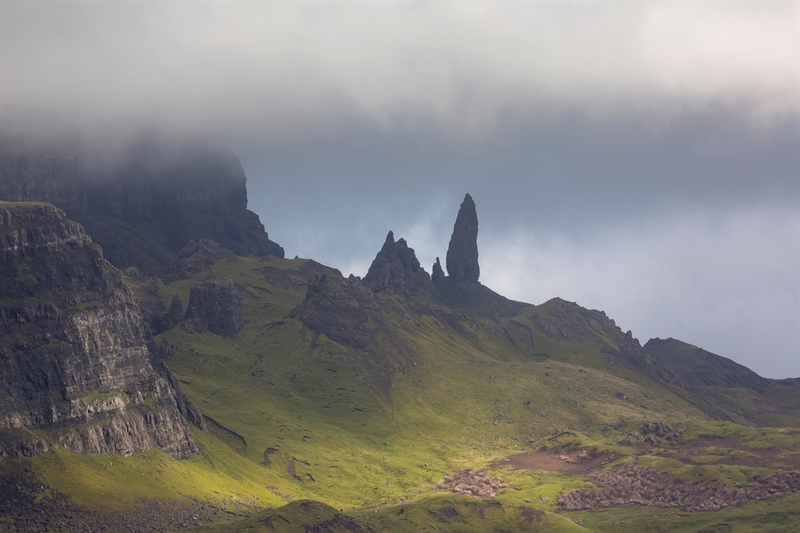 Many visitors are drawn to the spectacular scenery of the Trotternish Ridge to the north as this wild area is dominated by weird and wonderful at the same time rock formations such as the Old Man of Storr, Kilt Rock and the truly extraordinary pinnacles of the Quaraing.